We took a close look at the social problems encountered by fellow miners and came up with a social-centric development strategy. 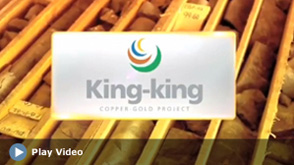 St. Augustine is committed to the responsible and sustainable development of the King-king Project.Since acquiring the project rights in 2011, the Company has engaged local communities throughout the Pantukan region and has secured the support of both local government authorities and indigenous peoples in the area.St. Augustine recognizes the positive socio-economic impact the development of the King-king Project can have on local communities in the project’s area.In accordance with Philippine Mining Law, the Company has reserved 1.5% of their operating expense to community investments.St. Augustine is currently working with local communities and government agencies to develop a Social Development and Management Plan that will maximize the benefits and minimize the negative impacts associated with the development of the mine and subsequent production.